10 PC. 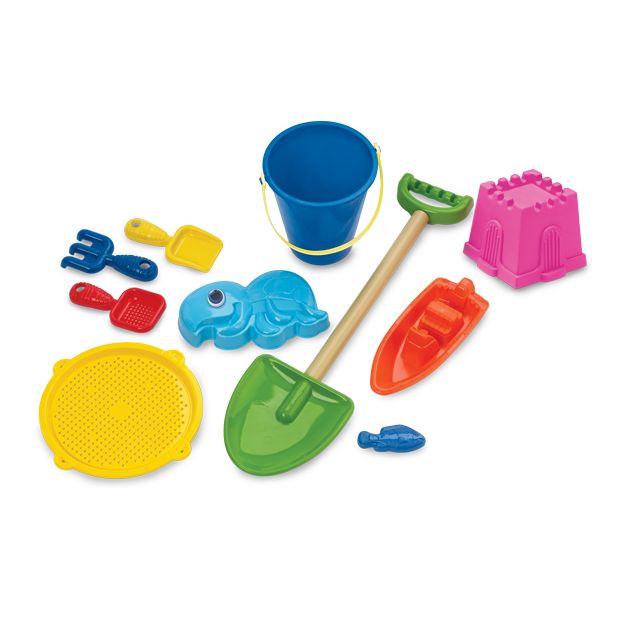 GREAT SAND SET | American Plastic Toys Inc.
Get hours of beach-time fun with this 10-piece value set containing everything needed for a day at the beach. This set includes a shovel, a sand sieve, and more.